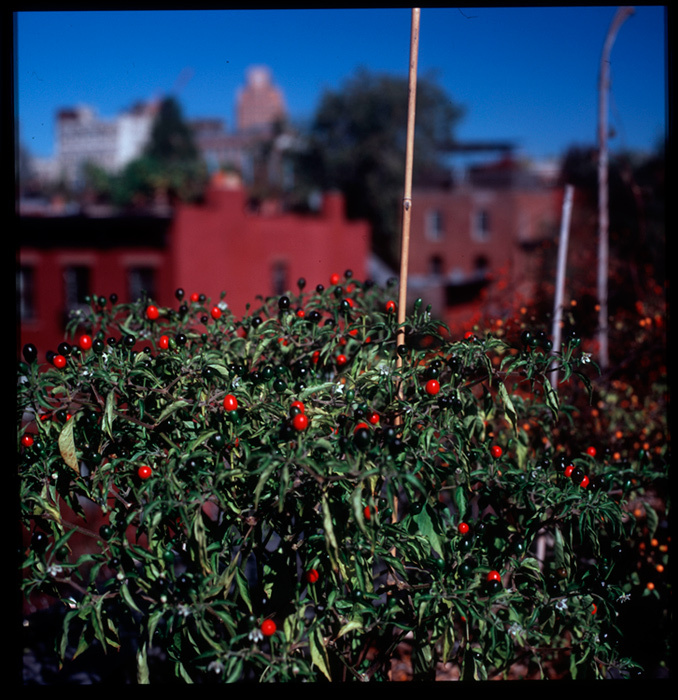 Organic chile peppers grown on the rooftops and in the backyards of Brooklyn, NY. I process my peppers into a fresh condiment called chunky chile oil. I provide urban gardening consulting services with an emphasis on lightweight container gardens for residential rooftops.